The Playgoer: Provincetown Playhouse: The Wreckingball Cometh? Provincetown Playhouse: The Wreckingball Cometh? Despite all the shutterings and demolishings of vintage Off Broadway theatres these days, one would think the old Provincetown Playhouse on MacDougal would be safe. It was, after all, the incubator of our official Great American Playwright Eugene O'Neill. Also, as the currently property of New York University it is not on commercial real estate. 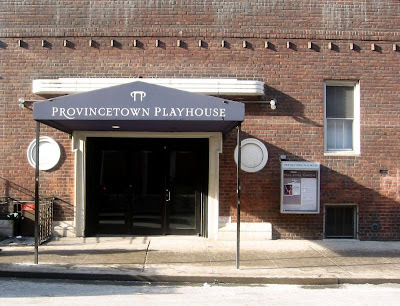 The Provincetown Playhouse, the Greenwich Village theatre built in 1918, may be subjected to a wrecking ball. AMNY [see page 4] reports that New York University has announced plans to demolish the 170-seat theatre, which is not landmarked and once featured the early works of Edward Albee, Eugene O'Neill and Edna St. Vincent Millay, among others. NYU plans to demolish a block of buildings on MacDougal Street, including the famed theatre. A new five-story building that would be utilized by NYU's law school would take its place. Wait, you say, surely it's landmarked? Alas, no. If there's no chance of stopping at this, I wonder if the Provincetown is actually small enough to crane-lift out of there and transplant to a cheaper--and more appreciative--location. If NYU has no interest, I know some small theatre companies that could really use it! The Provincetown Playhouse, which started on a wharf at the end of Cape Cod, opened at 139 MacDougal St. in 1916 and moved to No. 133 after two seasons, according to a Web site by Jeff Kennedy. The “new” theater at 133 MacDougal St. opened in 1918 with one-act plays by O’Neill, Edna St. Vincent Millay and Florence Kiper Frank. The 1920-’21 season featured O’Neill’s “The Emperor Jones,” a hit that moved to Broadway, according to the Kennedy Web site. I was just in that theatre over spring break, observing a rehearsal conducted by NYU theatre ed students. I was told that the theatre is used all the time by the Steinhardt theatre grads and undergrads -- not only do they put on productions but the space is used constantly all day long for theatre classes. If it goes under the wrecking ball and the new building is for NYU law students, where will the NYU theatre ed students do their work? And of course, it should be given historic site status. The Provincetown Playhouse was a center of dynamic creativity in American theatre. For what it's worth, the proposed NYU Law building/complex would include a new theatre space. My understanding is the building does indeed belong to the Law School now, but that Steinhart school acting classes often rent it out. The loss of these intimate and historic 150-250 seat theatres is killing NY theatre. 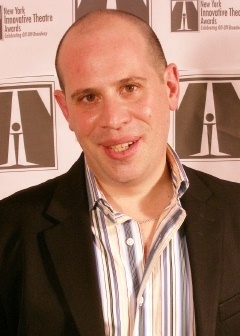 I am currently working with Andrew Berman at the Greenwich Village Society for Historic Preservation (www.gvshp.org) to help mobilize the NYC theater community. I've posted some information on what action can be taken right now at my blog, The Clyde Fitch Report, at clydefitch.blogspot.com. There will be a huge gathering on May 28 when the community board meets about this proposal. I ask for your help to get the word out. Thanks, Leonard. I didn't realize till later that you beat me to this--so tip of the hat to you, sir. And thanks for your mobilization efforts. People should keep up with your blog for the latest on that. Clarification: I neglected to include the link to the Playbill.com article I quoted from in my intial posting.